Platinum and Palladium Photographs: Technical History, Connoisseurship, and Preservation. 2017. Edited by Constance McCabe. Full color publication by 47 contributors on the topic of platinum and palladium photographs. Size: 12 x 8.75 x 1.75, 6.3 lbs. 504 pages. 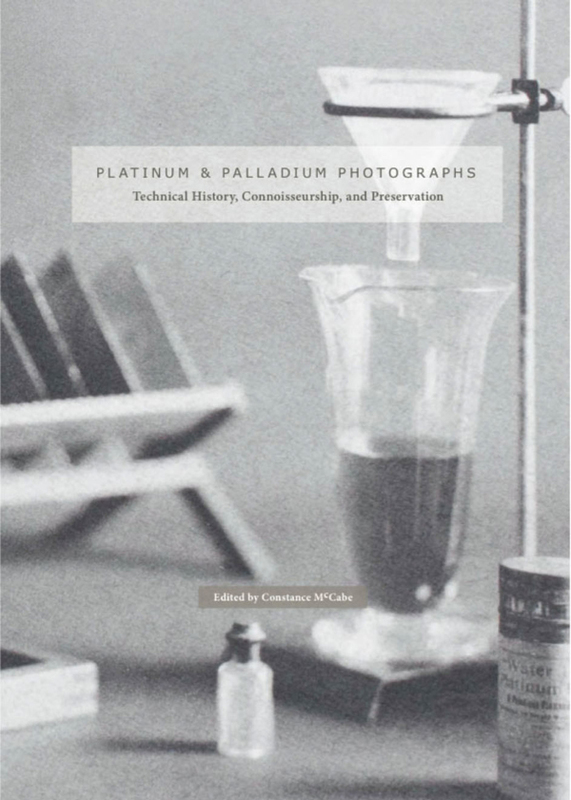 The Photographic Materials Group of AIC is proud to announce the publication of Platinum and Palladium Photographs: Technical History, Connoisseurship, and Preservation. This volume is made possible through the generous support of The Irving Penn Foundation, the Andrew W. Mellon Foundation, the Samuel Kress Foundation, and the extraordinary efforts of its extra volunteer authors. Edited by Constance McCabe, the volume presents the results of a four-year inter-institutional, interdisciplinary research initiative led and organized by the National Gallery of Art. Contributions by 47 leading photograph conservators, scientists, and historians provide detailed examinations of the chemical, material, and aesthetic qualities of this important class of rare, beautiful, and technically complex photographs. The volume will help those who care for photograph collections gain a thorough appreciation of the technical and aesthetic characteristics of platinum and palladium prints and scientific basis for their preservation. To see the full table of contents, visit www.conservation-us.org/platinum-palladium-book.